Sher Singh Baradari: Maharaja Sher Singh (December 1807 – September 16, 1843) ruled the Sikh Empire from 1841 until his death. 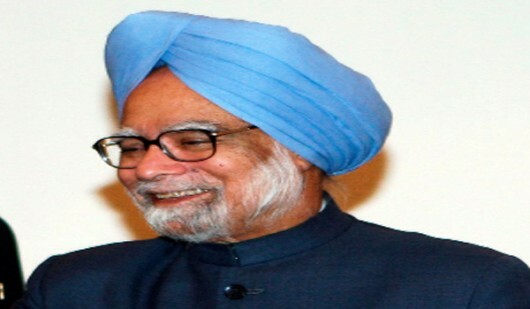 He was the the son of Maharaja Ranjit Singh, the founder of the Sikh Empire, and his Queen Rani Mehtab Kaur. His reign–brought to a brief end through treachery–produced few lasting architectural vestiges in Lahore apart from this baradari. Neglected for many decades, the baradari was nearly destroyed in 1992 when mobs set it afire in misdirected retaliation for the destruction of the Babri Mosque in India in 1992. Currently, the baradari is threatened by ongoing construction and waste refuse from the Solid Waste Management Company which operates in the vicinity. Immediately to the west of the Baradari are the ruins of several samadhi where domed enclosures onced housed the ashes of Sher Singh and his son. Wazir Khan Baradari: This baradari (literally, 12-door pavilion) originally served as the centerpiece of the Nakhlia Garden built by Wazir Khan, a benefactor of numerous buildings throughout Lahore including the mosque and hammam (bath house) which bear his name. It is among the finest of such monuments in the city, having been incorporated into the grounds of the Punjab Public Library as early as 1860, where it serves as a reading room. During the 19th and early 20th centuries it also served as a museum and as the Settlement and Telegraph Office under the British. Wazir Khan Mosque: Wazir Khan mosque was built in 1634 by Shaikh Ilm-ud-din Ansari, Viceroy of Punjab under Shah Jahan. Ansari hailed from humble origins in the town of Chiniot in the Jhang district of the Punjab. He studied medicine under Hakim Dawi and was hired by the Mughal court as the personal physician of Prince Kuram, the future Shah Jehan. The young prince was so taken with Ansari’s competence that he awarded him with the title Wazir Khan in 1620. Wazir is a title meaning “Minister” in Urdu. Wazir Khan acquired a large tract of land in Lahore bounded by the Delhi Gate to the east and the Lahore Fort to the west. He founded the mosque that now bears his name on the site of the tomb of Syed Muhammed Ishaq (also known as Miran Badshah), a saint who had migrated from Iran in the 13th century. 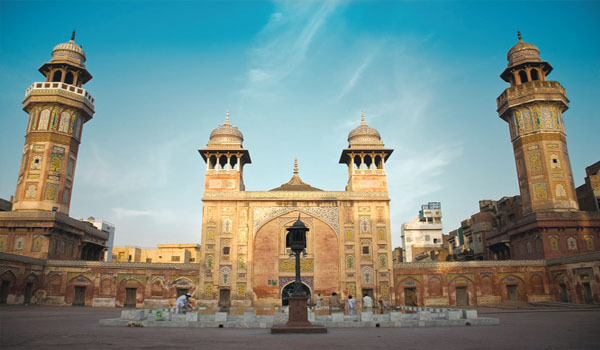 Wazir Khan also established a bathhouse (Shahi Hammam) and other commercial establishments along the road to the mosque whose income was intended to ensure maintenance of the mosque into perpetuity. Although the bathhouse did not provide as much income as intended, the bazaar to the east of the mosque was quite successful and remains a flourishing market even to the present day. The mosque’s distinguishing architectural feature is the use of minarets at each of its four corners–the first time such a design was employed in Lahore. The prayer hall follows the one-aisle five-bay motif that was first established in Lahore a generation earlier at the Maryam Zamani Mosque, which was later to find its full expression in the Badshahi Mosque built by Emperor Aurangzeb a half century later. Much of the mosque is constructed of cut and dressed brick decorated with glazed tile mosaics. A curious feature of the mosque is the incorporation of 22 shops into its ground plan. Situated on either side of the entrance hall, these shops form a bazaar with a brick-paved passage in between. This commercial area extends east beyond the mosque into the Chowk Wazir Khan (Wazir Khan Square) which remains a vibrant commerical district to the present day. Zeb-un-Nisa Tomb: Zeb-un-Nisa, meaning “most beautiful of all women”, was a daughter of Emperor Aurangzeb who lived from 1637 to 1702. She gained renowned for her Sufi faith and passionate interest in poetry. However, it is not known if this in fact her tomb. Some sources indicate that she died in Delhi and is buried outside the Kabuli gate. If this is true, another candidate for the tomb’s occupant is Mian Bai Fakhrunnisa (Pride of Women), a favored female attendent of Zeb-un-Nisa who was given the Chauburji garden by her patron.